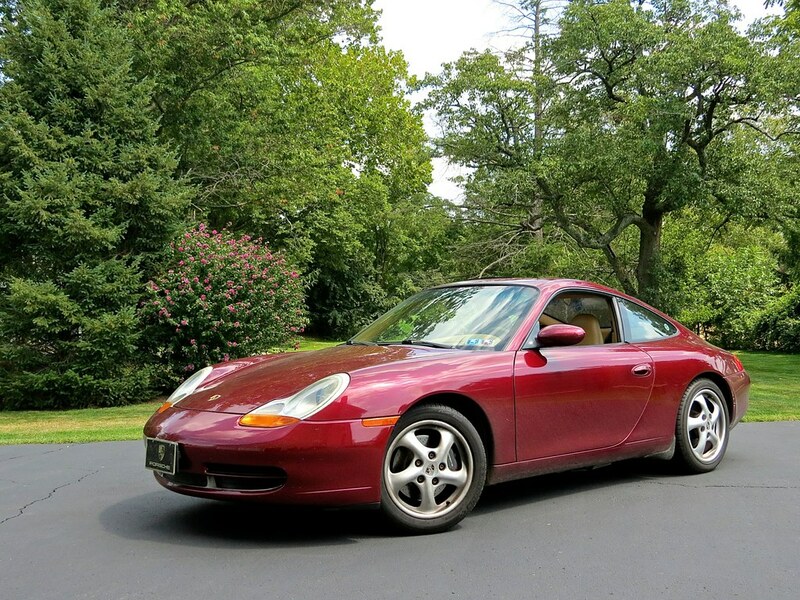 I’ve got a secret to tell you, the Porsche 996 is a ton of fun, despite the hate it gets from Porsche “purists.” It’s surely not the last word in Porsche perfection, but it is a really satisfying sports car experience, especially when you consider the money. Sure a 997 is better, but you’ll spend more than double for it. My dad traded his 944 for this 996 a few months after I got my Subaru, and it’s the car I know second best in this world. 300hp in a 2900lb car, RWD with an LSD, and a 6 speed manual transmission with perfect gearing. The handling is sharp and nimble and the flat 6 engine howls with fury as the revs climb. It puts most other sports cars in its price range to shame, and there is nothing missing from the experience. My dad still enjoys it, and I’ve been thankful he’s let me enjoy it over the years as well. It’s a Porsche you can really get out and drive because it has nothing to prove. I love that. 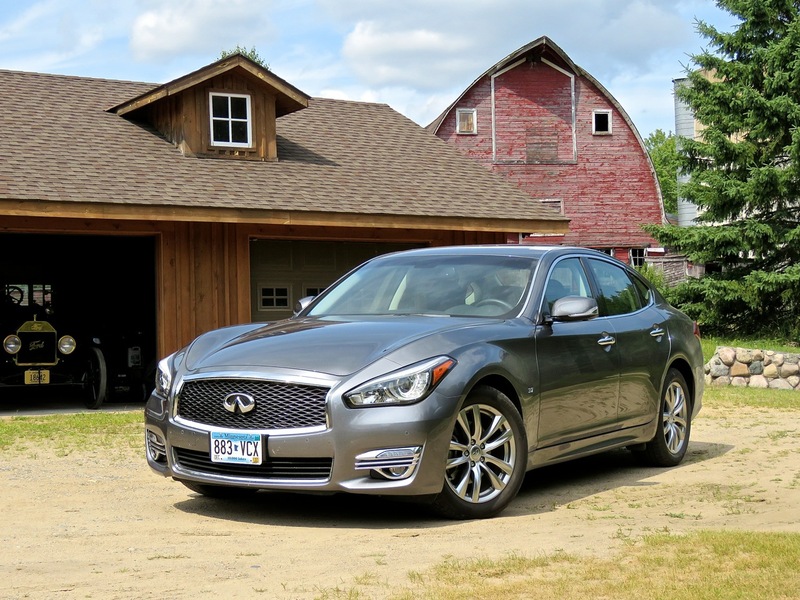 I spent a weekend with this Infiniti Q70 while visiting my family in Minnesota. I decided to splurge on the rental because I knew the trip would have a lot of long drives in only a few short days. My Uncle George’s house on the lake is around 3 hours away from Minneapolis, so the drive actually takes longer than the flight from Philly. We were also planning to visit my Great Uncle Bill, who lives about an hour and a half away from my Uncle. So we were guaranteed at least 9 hours of continuous driving on big open roads during this trip, might as well have a car that would make it a pleasure! I had originally booked a “Q50 or similar” but the Q70 is what they had available. It’s a car I’ve always managed to forget about, but I knew it would be nice for the drive. By the end of the trip, the Q70 had made me a big fan. It went from fairly anonymous in my mind to a practical favorite… and I had just recently driven the all-new BMW 540i. For $25K you have many great options for a high-performance daily driver. If you want a brand new car you can get a Honda Civic Si or a Volkswagen GTI, both great “hot hatches” with amazing handling and turbocharged power. Looking a couple years used, you can find a current-gen Subaru WRX, or variants of the Ford Mustang or Chevy Camaro. But what if you want something even more serious with more emphasis on luxury and even higher performance? For $25K, the cars will be a few years older, 8-10 years old in this case, but you are getting $60K worth of car for less than half the price. I’m starting to look around in this general price range for my next step, and I have various options depending on what I decide to do with my current stable of cars. I decided to go have a drive in some of the cars I’ve been looking at to see what they’re really like from behind the wheel. 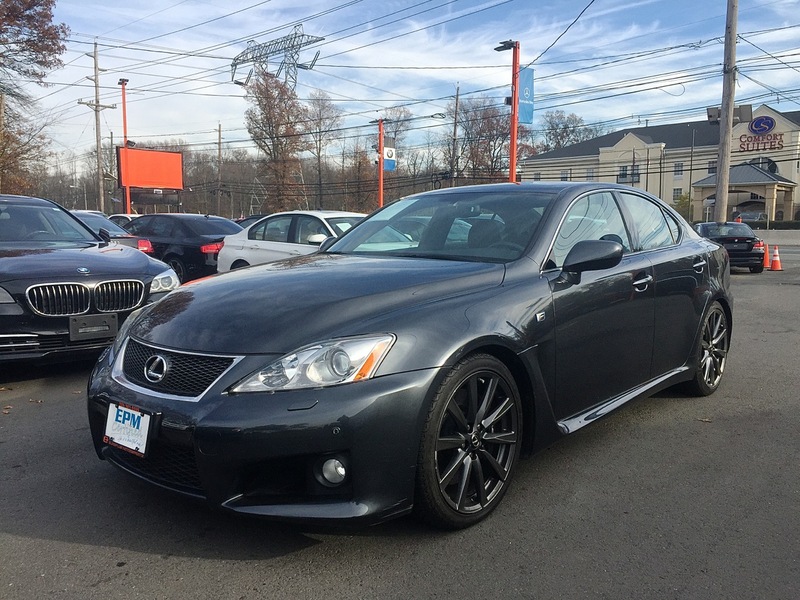 I went to a local dealer to check out two Audi B8 S4s, and low and behold, they had a Lexus IS F on the lot as well – it hadn’t been listed online yet. IS Fs are pretty rare, and this one was in my range, so I added it to my list to drive. The S4 and IS F are a somewhat strange comparison, the Audi is AWD with a supercharged V6, and the Lexus is RWD with a 5.0L V8. When it comes to driving in bad weather, they don’t really do the same things. That said, both are midsize sedans that offer high performance with a lot of polish. Overall, they serve the same basic function for the same basic price, so, despite their vast differences in many areas, that means they compete. My parents are moving down to their place at the shore full time soon, and of course they’re taking their cars with them. They’re only going to be 2 hours away, but driving-wise the shore doesn’t hold a candle to the back roads of Bucks County, PA. The topography at the shore is all flat, the back roads barely curve at all, and the main roads are so crowded, and so heavily patrolled by cops, that there’s nowhere to really let the car run free. I may get to drive the 996 a few times when I visit, but it will never be like it was up here, with old our colonial roads that snake their way endlessly through the forest. I had to take the Porsche for one more solid drive up here to say my goodbye, of sorts. So one night, after work, I spent 2 blissful hours in it out driving a greatest hits tour of my favorite roads. There are some great car tunes in the realm of Country, and up-and-coming star Maren Morris carries on the torch with her recent hit “80’s Mercedes.” The song is an ode to our millennial generation’s taste for having the finer things in life, even if it has to be on a shoe string budget. 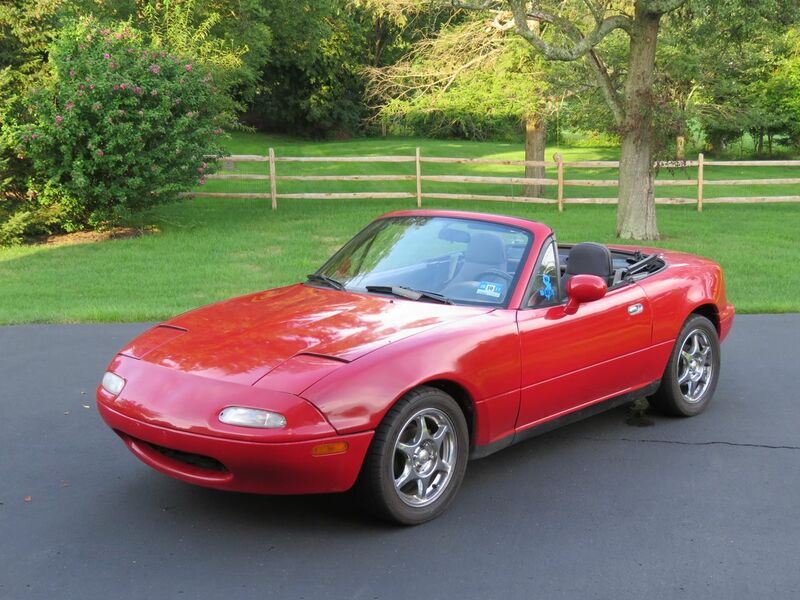 Yesterday I parted ways with my (formerly Al’s) 1993 Mazda Miata. It was my second Miata, and it directly lead to my third, Ace. 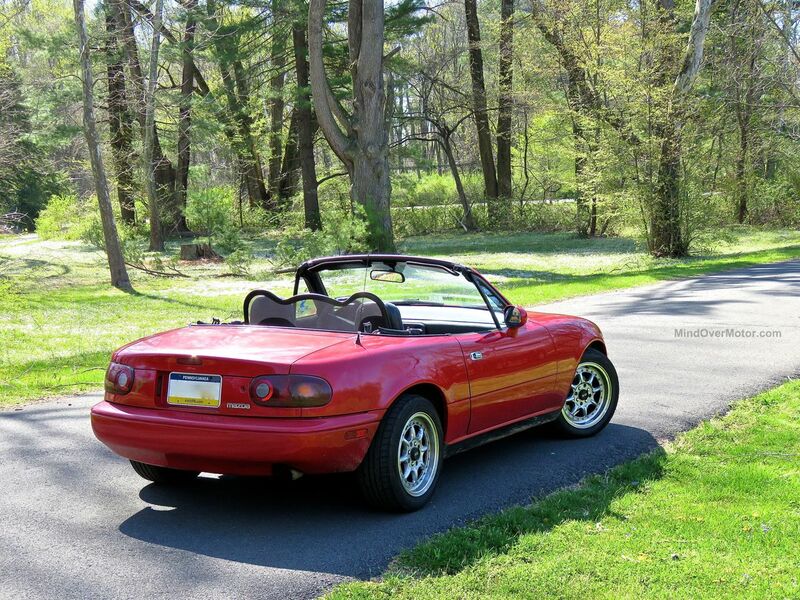 There really is something special about these little roadsters, something that always manages to make you smile. They don’t seem to take themselves too seriously, and that helps you loosen up as well when behind the wheel. 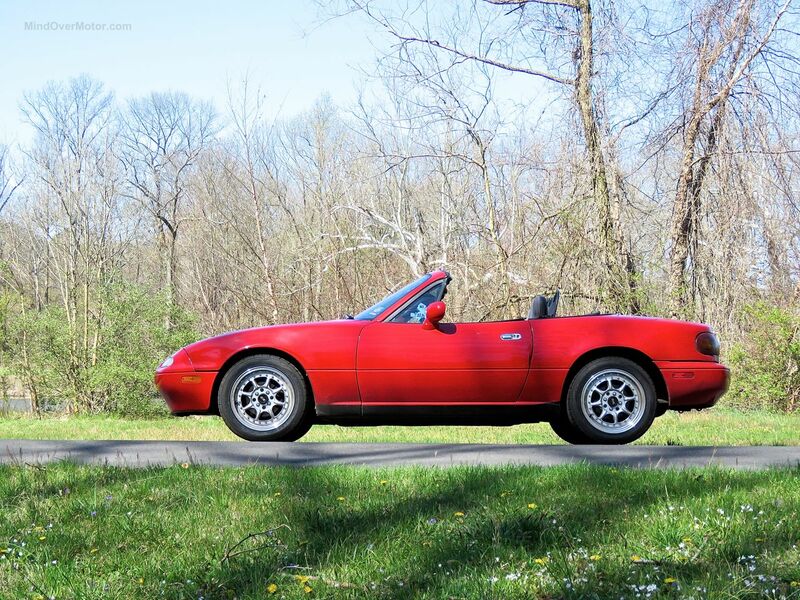 I bought this Miata off of Al this past spring. 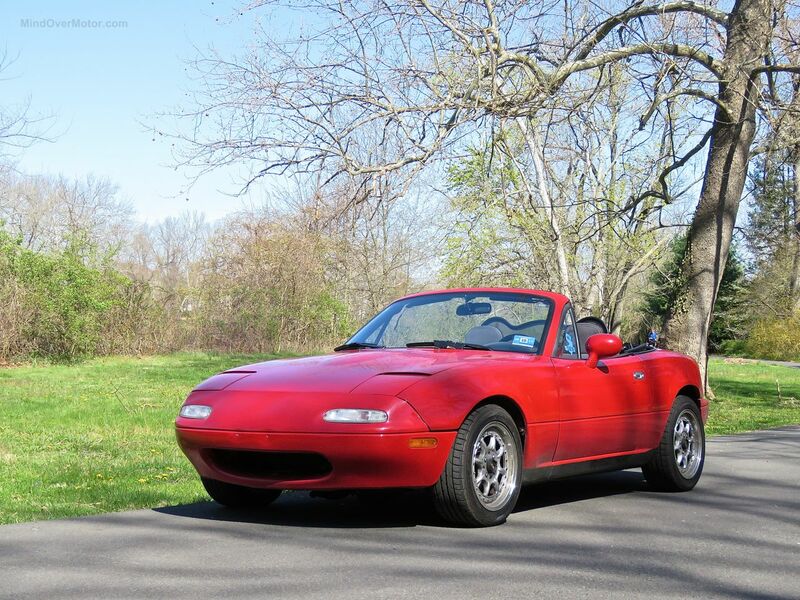 Al wanted something new, and I had just landed a new job with a nice pay bump, so I figured a Miata would be fun for the spring. This thing was fun, so much fun that it made me decide I wanted a Miata in my life for the long haul. I looked around, and found Ace, my 2014 Miata Club Edition. Things got off to a rocky start with Ace, having an accident just 4 days after I bought it. But the repairs have been made now, so it was time to let my ’93 Miata go. 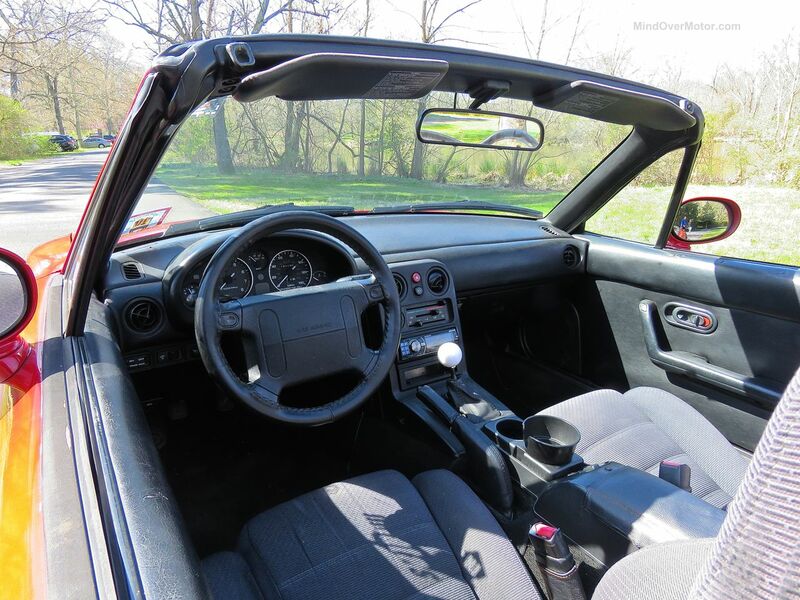 I can only hope this Miata inspires its new owner as much as it inspired Al and I. 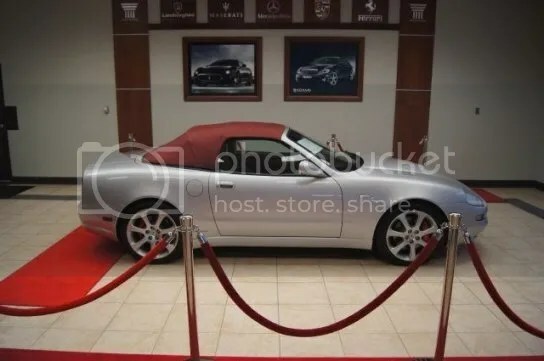 Over the last few months, Al has been constantly talking about the idea of selling his Mazda Miata and buying some cool old American car. He’s been on craigslist like crazy, and has been continually messaging me and many of his other friends asking our thoughts on the possibilities. I recently got a great new job, which brought with it a nice little pay increase, so naturally I’d been thinking of getting some new wheels. I’ve been missing my old Miata like crazy since I sold it a few years back. It’s like there’s been a hole in my soul that can only be filled by one thing. I needed to get myself another Miata! Al brought the car by on Saturday morning. I took it for a quick drive, looked it over, and I was sold. We went to the DMV and did all the paperwork. I paid Al with cash money, but he wasn’t about to go to the bank. No, we were going to check out a car right away. I’ll let him tell the rest tomorrow. I’m going to live with my new Miata for a few weeks before I do a proper article on it, but so far, so fun. It sure as hell isn’t perfect, but it isn’t trying to be, and that’s the whole point. It is a delightful little machine! Many times the best drives come completely unplanned. There are no cameras rolling, nothing even remotely contrived. Often times the reason for the drive is even purely functional. Last night was one of those awesome spur of the moment car experiences for me and my buddy Shane. That’s why the pics are crap, and this article, written in immediate hindsight, may be a little wonky. But it was one of those great drives I know I’ll remember long into the future. Make sure you never get a raise again with this ’03 Maserati Spyder for Just $19,995!!! Does your boss drive a nice car after working hard for years and years climbing the career ladder? Well now it’s time to beat them at life while you’re still lower-middle management! Just imagine the look on their face when you pull up next to them, 5 minutes late, in your shiny new (to you) Maserati Spyder. 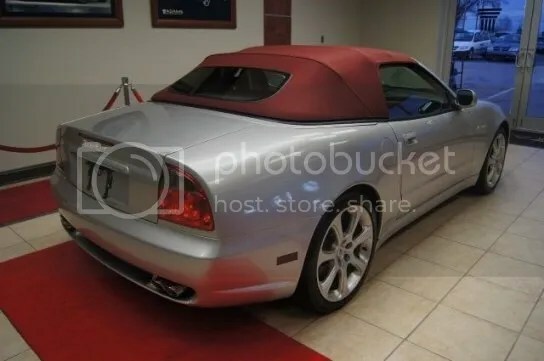 Sure, they may have paid the full $80,000 on their brand new generic Audi or Mercedes, but theirs doesn’t say “Maserati” on it like your new chariot does. 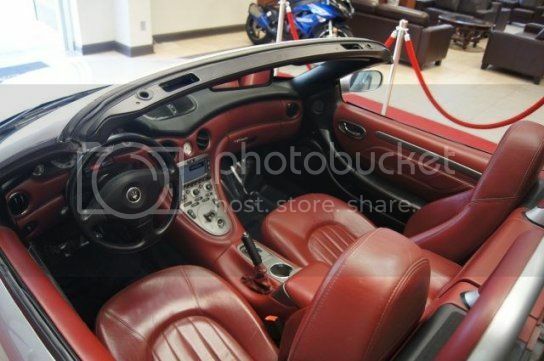 What’s more, this pleasure of showing up your superiors comes at a price of JUST $19,995. You can’t even get a Honda Civic with a pleather interior for that much, but you can get this 170 mph Italian stallion. 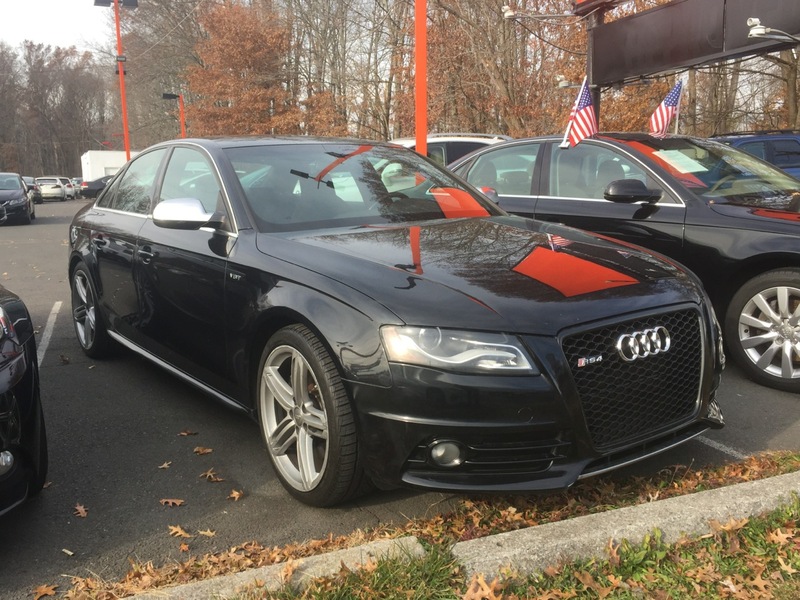 With its sporty paddle shifters, you’ll be driving around like Mario Andretti! Okay, maybe there are other cars out there that get more than 10 MPG. And maybe there are other cars where 30,000 miles isn’t considered “high mileage” from a servicing standpoint. Maybe a Honda dealer wouldn’t charge $500 for an oil change. And maybe everything in a Civic would still work 6 months after you bought it. Do you really want to wait until you’ve proven yourself to have the status you already know you deserve? Why go through all that crap when instant gratification is right at your fingertips? Just do it! 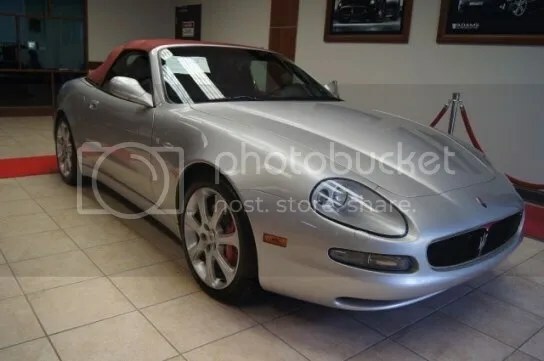 Fitty Cent drives a Maserati, and now you can too! By purchasing this sleek pasta-rocket, you’re taking the short cut to the top in life. Successful people will treat you as one of their own, and all the losers from your high school will be super jelly on Facebook and Instagram. Life is all about scoring points, so go for the grand slam! The Subaru WRX STi is a fantastic package with solid Brembo brakes, a high-performance suspension, and around 300 turbocharged horsepower being put to the ground with pure all-wheel-drive traction. It is a deadly back road weapon as-is, but there is a lot of room for improvement should you want to take your rally car the the next level. While better tires will improve any car, overall, the STi is already very well set up for handling and braking. To raise the excitement level, you can just dive right into adding horsepower. 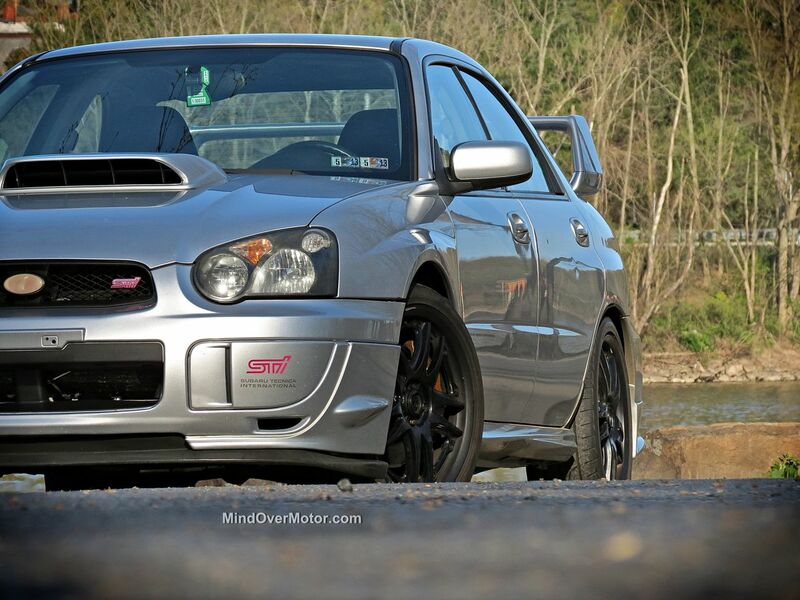 This post is meant to be a generic, easy to understand guide for anyone who is looking into modifying a Subaru STi. We hope this will help save people the hassle of having to dig through online forums just to find the basic information. Look for more modification guides for other types of cars in the future. 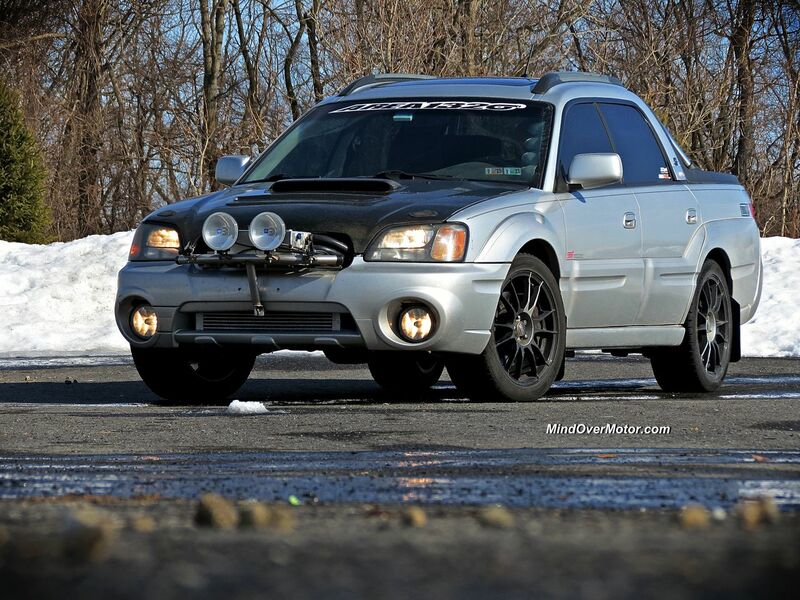 The Subaru Baja From Hell, Reviewed! This is a heavily modified, fire breathing example of Subaru’s lukewarm Outback-pickup-thing, which they called the Baja. It belongs to my friend, Rob, who has spent the last eight years corrupting every last inch of this once awkward and unassuming ‘Ute toward the dark side of The Force. Because things like this need to exist. Subaru never made a blood thirsty rally version of the Baja, so Rob has taken it upon himself to make one. What is the main thing I need to know about the Baja From Hell? It is different, and its entire identity revolves around being so. Rob’s Baja is a car that is bursting at the seams with “special” and it has proven able to draw a sizable crowd at any sort of automotive gathering.